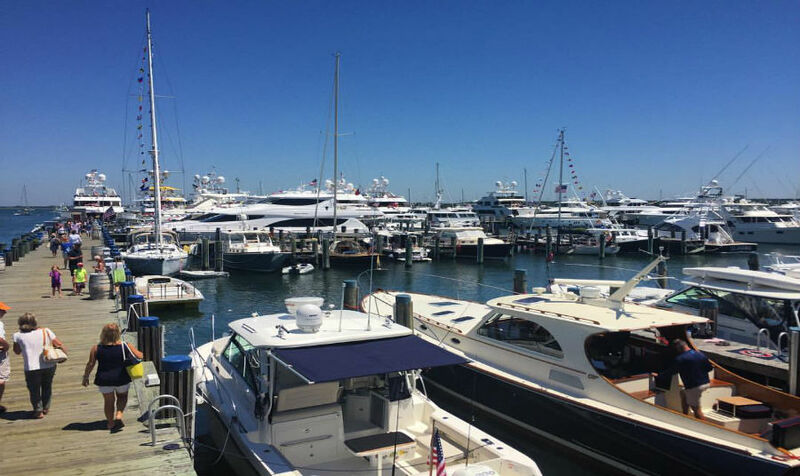 Summer is officially here and what a perfect time to catch up with our friends at Nantucket Boat Basin! 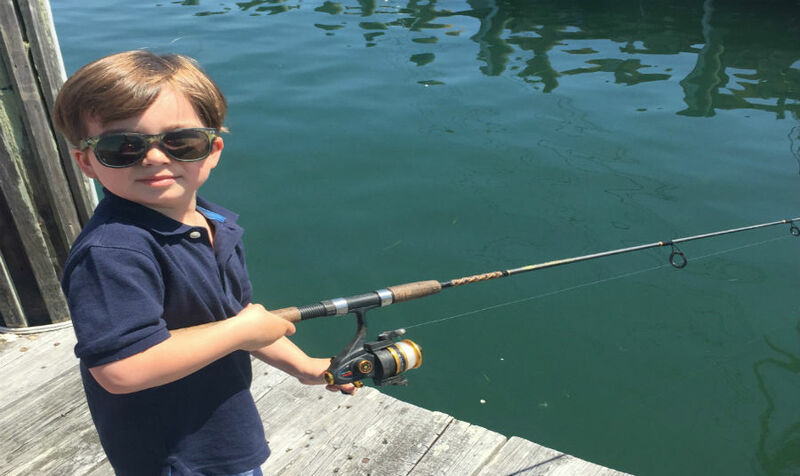 Life at The Nantucket Boat Basin is definitely moving at a faster pace in the summer months- but there's still great availability for those boaters looking for a 'can't-be-beat' summer boating experience! June 10th was National Marina Day, a nationwide boating event, dedicated to growing boating participation across North America. Through the years the marina industry has aged and seen a decline in youth boating, as younger generations are finding it more challenging to get involved. 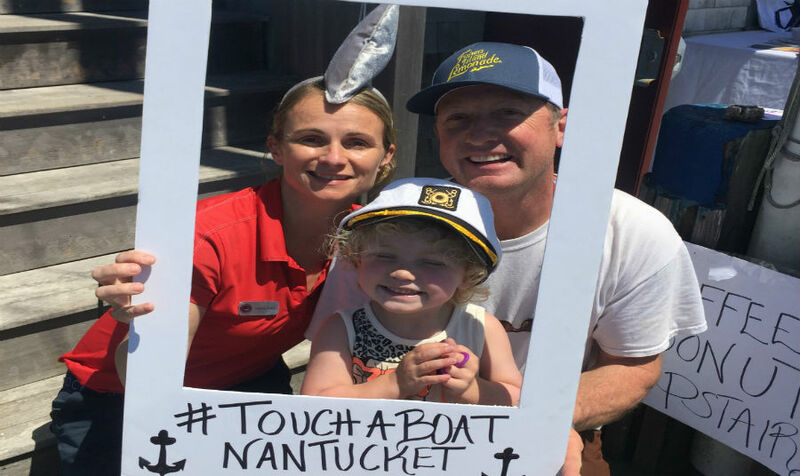 For this reason Nantucket Boat Basin teamed up with the Massachusetts Marine Trade Association this year to take part in Mass Kids' Boating Day, through hosting "Touch A Boat Day". 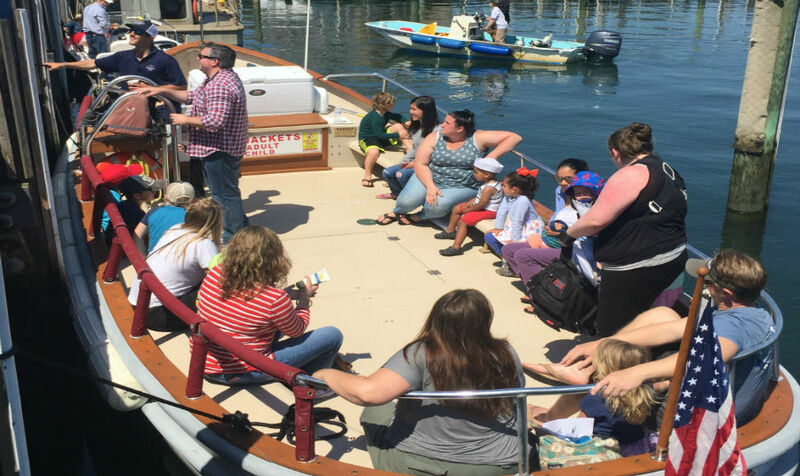 The main goal was to educate and expose kids to the waterfront, boating and marine careers and recreational opportunities that they may otherwise be unaware of. Additionally, it was a great opportunity to share the celebration of life on the water. Participants included the 47' US Coast Guard boat, sailing vessel tall ship Lynx (who counted at least 168 people boarding the boat on this day! ), Chris Fuller of Chris Fuller Diving swam around the marina with a squirt gun for the children- this was a crowd favorite! The Waypoint Harbor Launch offered quick cruises around the harbor, and the Harbor Master and Nantucket Moorings also participated in the event. The Boat Basin had a few crafts and activities arranged for little ones, like making sailor valentines, decorating sailor caps, fishing off the docks, and offering snow cone treats from our office! All visitors were given a goody bag with nautical stickers and a coloring book too. Many parents mentioned that they'd never been to the Boat Basin headquarters or boarded some of the vessels involved in the event, so it was a great time for all to experience the Nantucket Boat Basin, and that made for the best part about this day - being able to share something with the entire community that people don't always have the opportunity to get close to.